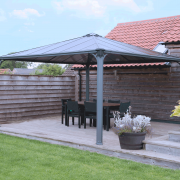 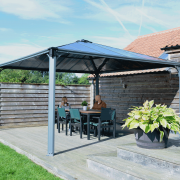 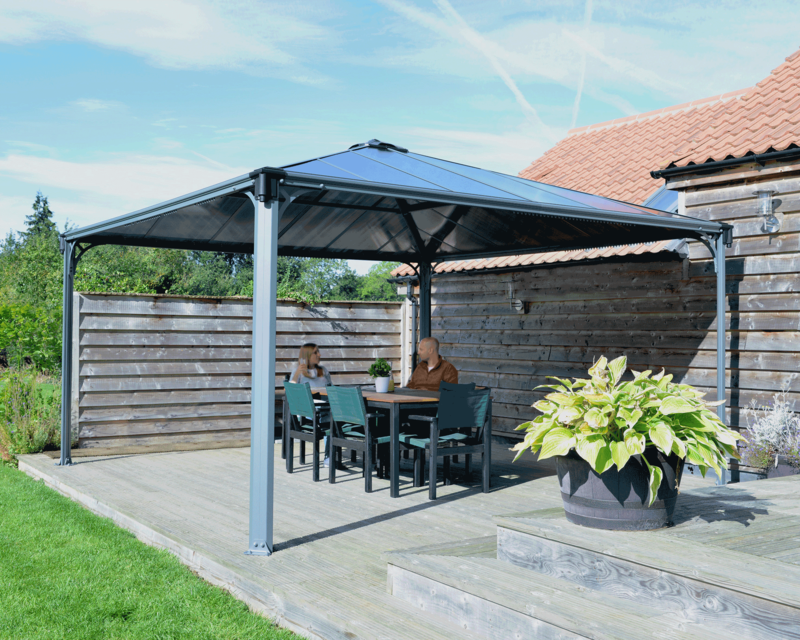 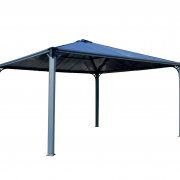 The Harlington 4300 Garden Gazebo is the perfect garden shelter that can be used in both summer and winter. 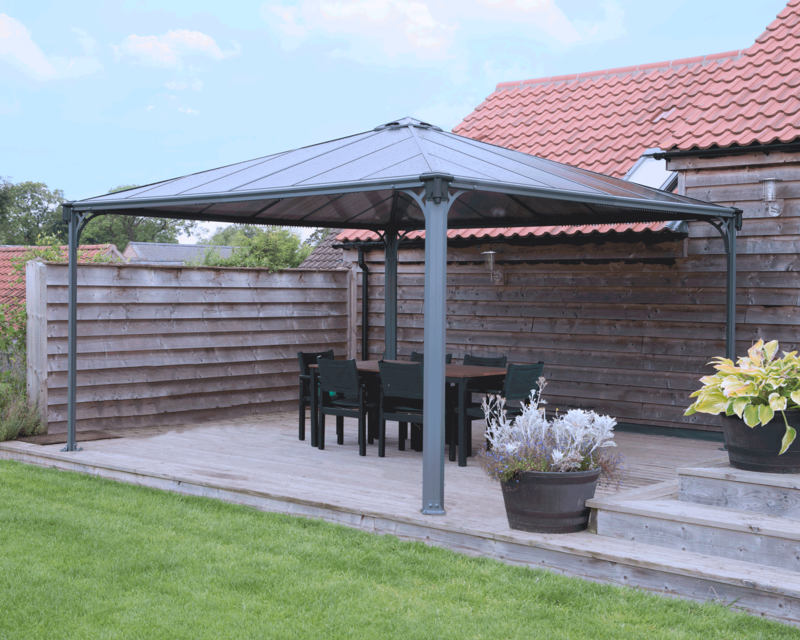 The permanent structure is made from rust resistant aluminium and finished off with a durable anthracite powder coat. 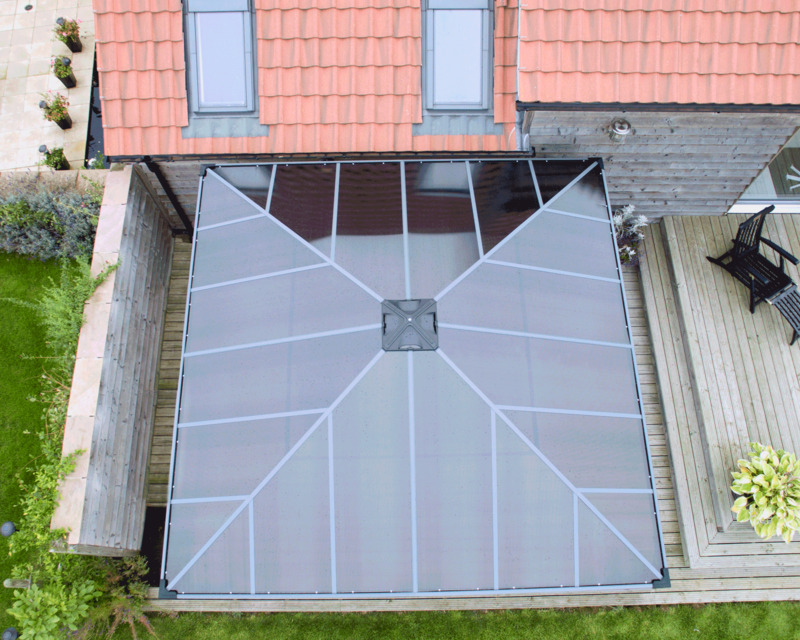 The polycarbonate roof panels are 100% UV protected and are treated with a unique bronze glazing to ensure just the right amount of light can get through but also offering an element of privacy. 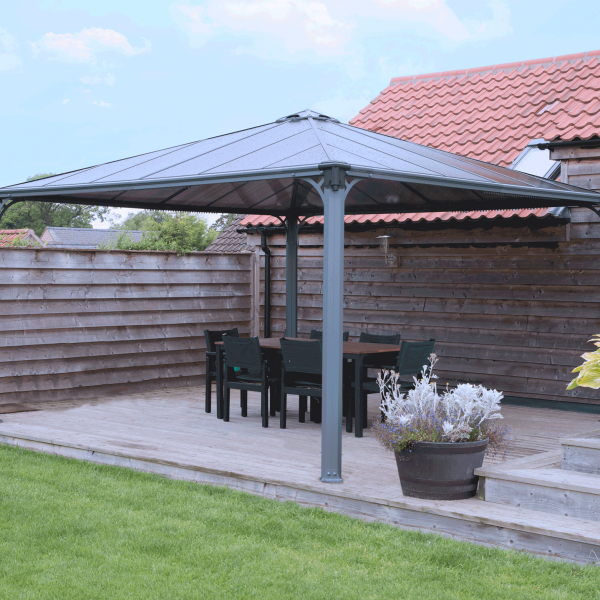 In the middle of the gazebo roof there is a decorative air vent which allows smoke and wind to escape, perfect for cooking on a BBQ or when there are high winds. 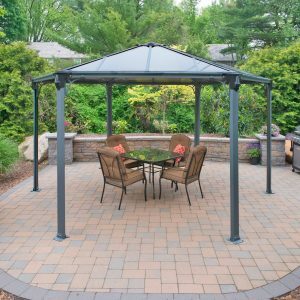 This garden gazebo has been designed for easy installation by two people, with anchoring foot plates to secure the structure to the ground. 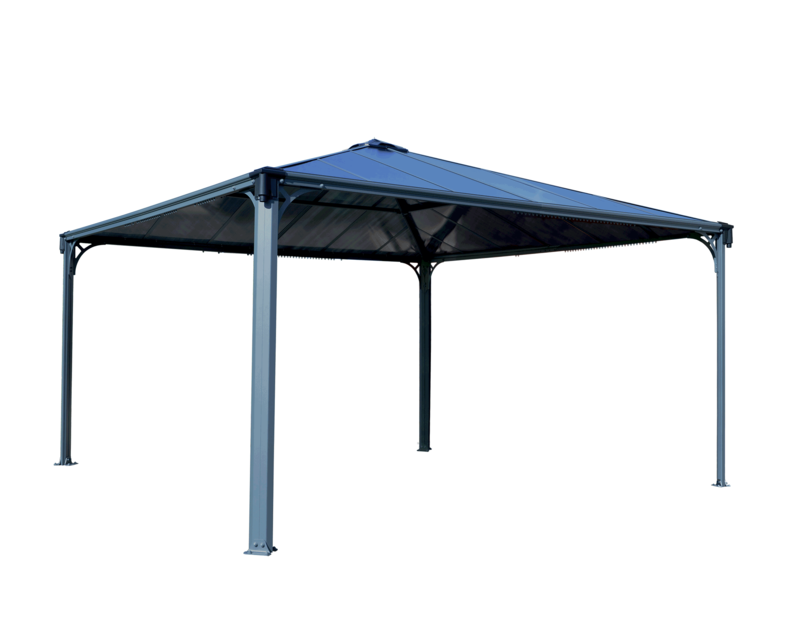 Anchoring and foot-pads included – this product requires foundation pads in all applications. 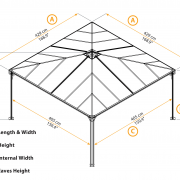 Please see assembly instructions for sizes. 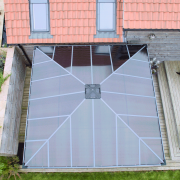 Please note: whilst marketing photographs may show this product fixed to a surface such as decking or paving, this product requires foundation pads to resist wind uplift. 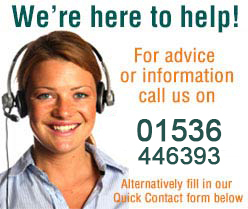 Please ensure that you fix this through to pads whichever final surface you choose. 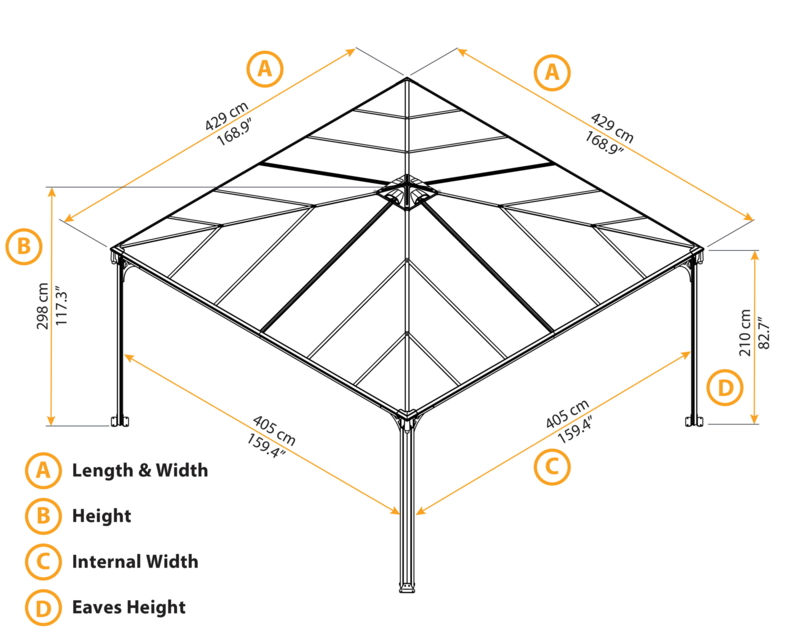 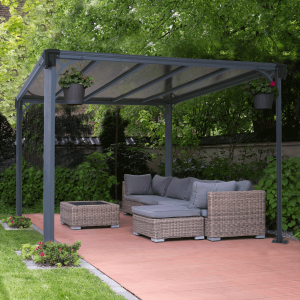 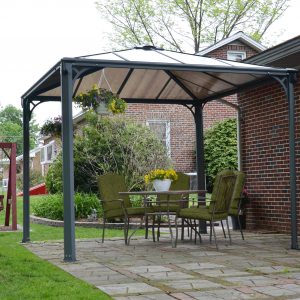 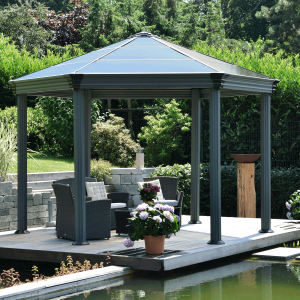 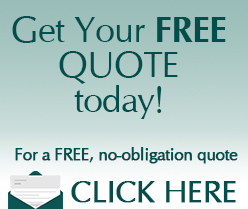 Click here to download our Harlington 4300 Garden Gazebo assembly instructions.